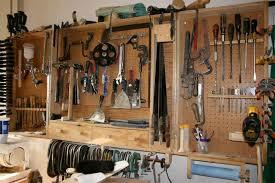 Most woodworking tools are hand-held – indeed, woodworking is itself a manual activity. However, tools that are operated by the muscles rather than an external power source are defined as “hand tools”. When time is pressing, you may prefer to use a powered tool, but there are occasions when it is both quicker and more efficient to use a hand tool – when machines have to be set up, for instance – and hand tools are vital. in measuring and laying out, for no power tool – apart from robot – can perform these tasks. Some woodworkers prefer to use hand tools and to “feel” the wood they are using with their fingers. Hand tools are, in any case, an essential part of the kit of all woodworkers, and of the great pleasures in woodworking is building up a collection of personal tools. A coping saw is essential for cutting fine, straight, or curved lines, especially for removing waste from dovetails, where a tenon saw is too large. The try square is vital piece of equipment. It is used for marking and checking lines at 90 degrees, and various sizes are available. A sliding bevel can be set at any angle for marking and checking angles on wood. The miter square, with its blade set at 45 degrees, is used for marking and checking. A tenon saw is the best general-purpose saw for cutting straight lines. They are usually 12 inches long and have 13-15 teeth per inch. A dovetail saw is a miniature tenon saw for finer work. They are about 8 inches long and have 16-22 teeth per inch. A marking gauge is used to mark parallel lines. The stock is held firm against the edge of the wood, while the spur is trailed across the surface. A mortise gauge or combined mortise and marking gauge as it is sometimes known, has a single spur and two movable spurs, which can be set to the width of a mortise chisel. The stock is then held in position with its locking screw. Handsaws are either rip, crosscut, or general purpose for cutting straight lines along or across the grain. They are approximately 25 inches long and have 6-8 teeth per inch. Bevel-edged (bench) chisels, available in sizes from 1/8 inch to 1, ½ inches, are lightweight, versatile tools, but they should not be used with a mallet. Available in the same size range as bevel-edge (bench) chisels, firmer chisels are just more robust. Cutting deep slots or mortises requires a stout tool, and mortise chisels range in size from ¼ inch to ½ inch. A marking knife, the most accurate scoring tool, is generally used against a straight-edge. The steel ruler is not only accurate, but is the strongest calibrated tool. Rasps and files are used for abrading. Coarser rasps remove stock quickly. For accurate shaping there is little to beat the spokeshave, which can have a flat or a rounded sole. About 9 inches long, the steel smoothing plane, with its fine blade adjustments, is a vital tool for flat and shaped skimming. The smaller blockplane, which has a shallower blade angle, is used for delicate work. The jack plane, which can be 13 ¾ -15 ¼ inches long, makes long pieces truer, and the extra weight gives more control. Although they are being increasingly replaced by power tools, hand screwdrivers are useful. They are available in a variety of styles and sizes, ranging from flat tip to Posidrive. It is important always to use exactly the right tip width for each task. The grip of the handle should feel right for you, too, and screwdrivers with an oval or bulbous handle are generally easiest to use. Striking tools are needed for a variety of purposes. Mallets, for example, are used to help drive chisels into wood (mortise-and-tenon joints), while hammers are used to drive joints together or to nail joints. Mallets are usually made of beech, a very tough wood, and the striking action is slightly springier than with a hammer, which is used for sharper blows. Different types of hammer are available to suit light or heavy tasks. Whenever you need an extra pair of hands to hold your work, you will need a choice of “C” clamps. These vary from 1 inch to 12 inches, and are remarkably versatile. Bar clamps range from 18 inches to 4 feet.